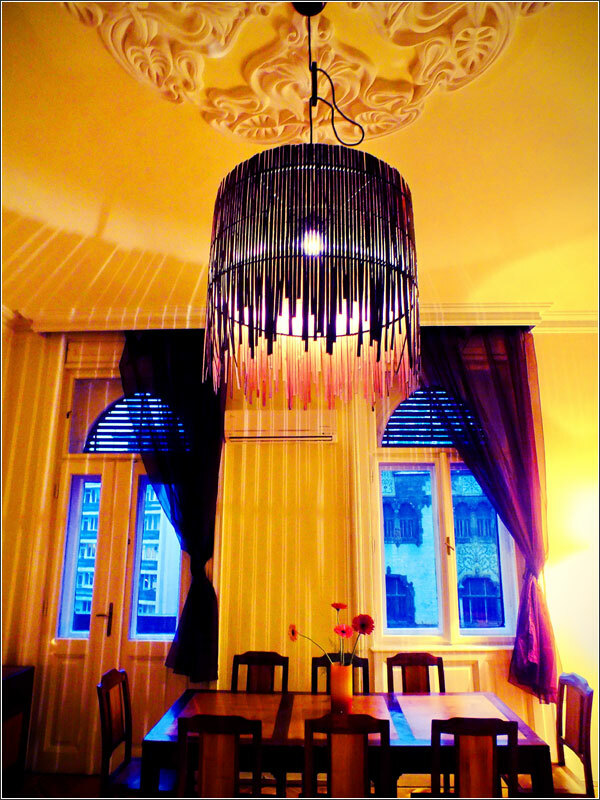 The apartment Ulloi 34 is located in the city centre of Budapest on the street "Üllői utca", just a few meters from the Museum of applied and oriental arts and only 30 meters from the Metro Corvin Negyed. 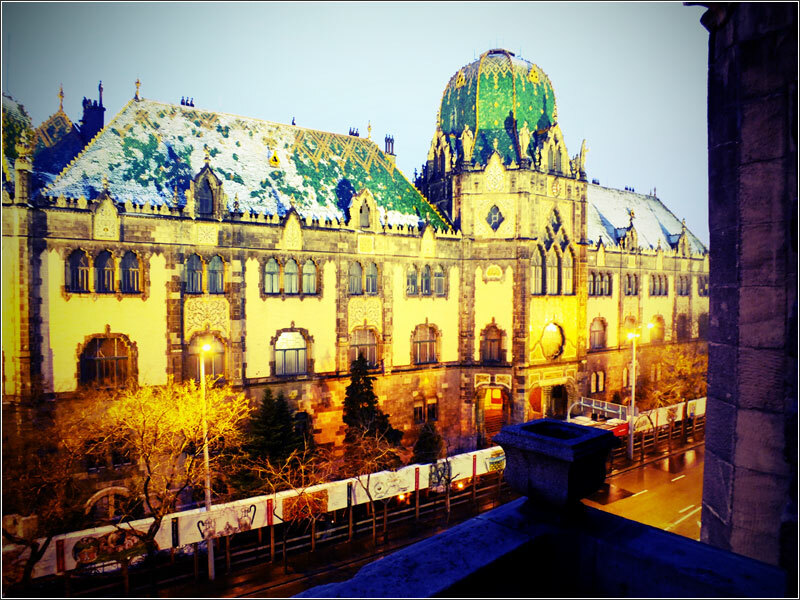 The apartment is located in the PEST part of the city, in the eighth district on the border with the fifth and most specifically in the Ulloi utca street. 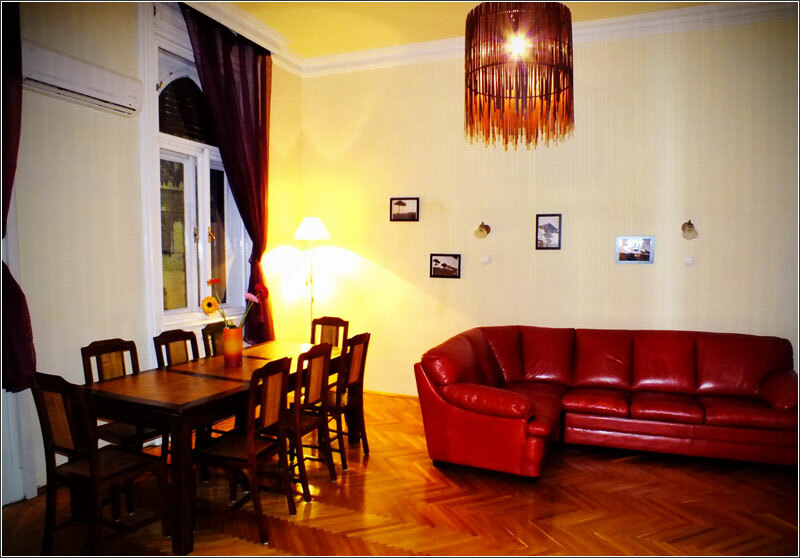 The apartment is 105 square meters and is completely renovated and furnished. 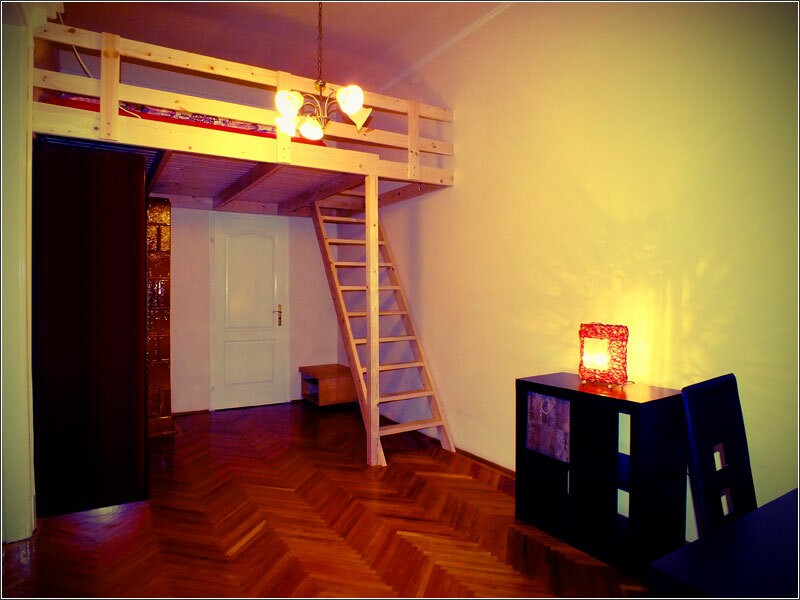 It consists of a large living room where there is a double sofa bed (French bed), a bedroom with a double bed and another bedroom where there are two single beds on a mezzanine (entirely walkable, its height is 2 meters). 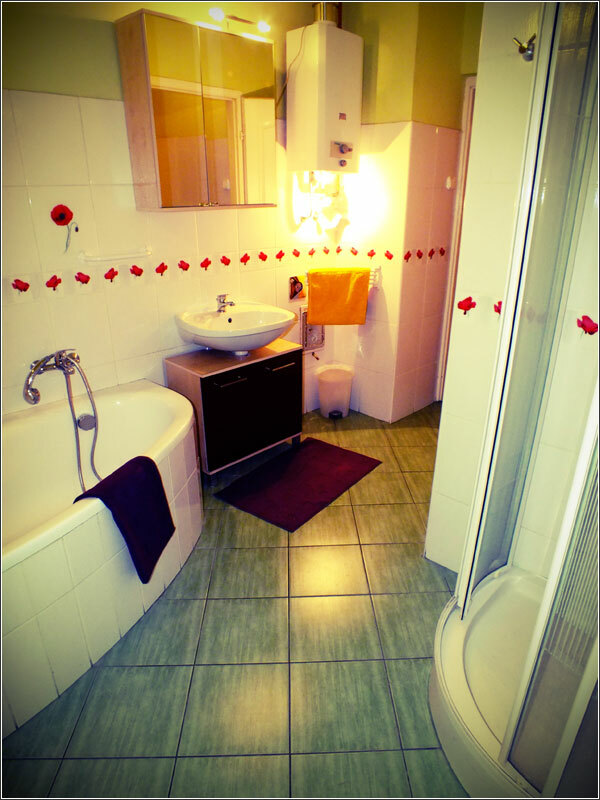 The apartment has 2 bathrooms, one with shower and tub and one with toilet only, in the most classic hungarian style. 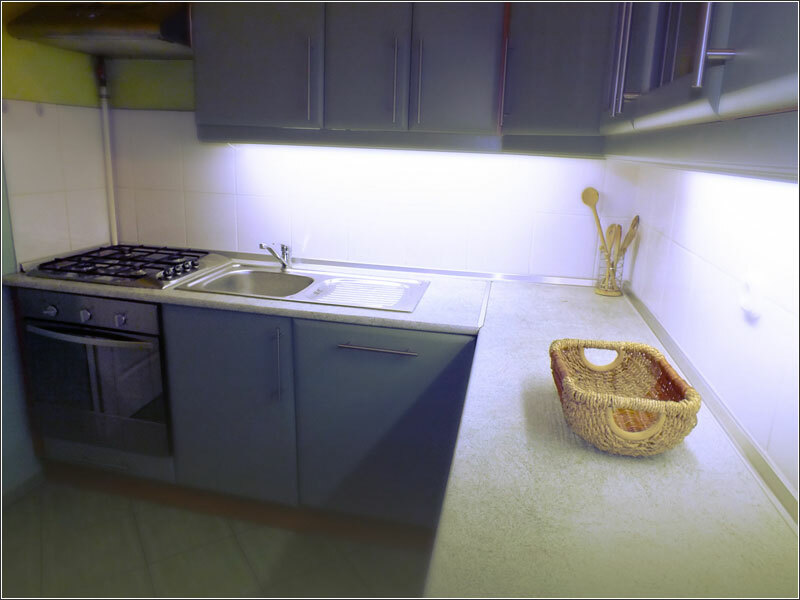 The aAccommodation includes also a kitchen equipped with everything you need for cooking. 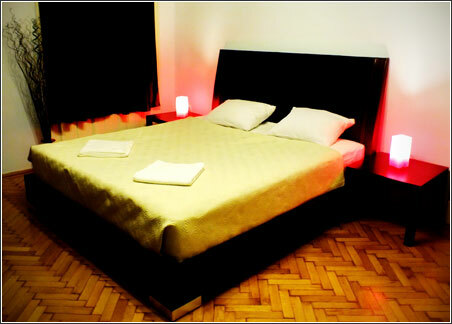 The bedrooms are soundproofed and have air conditioners for the summer. For the winter the apartment has heaters in all the rooms. 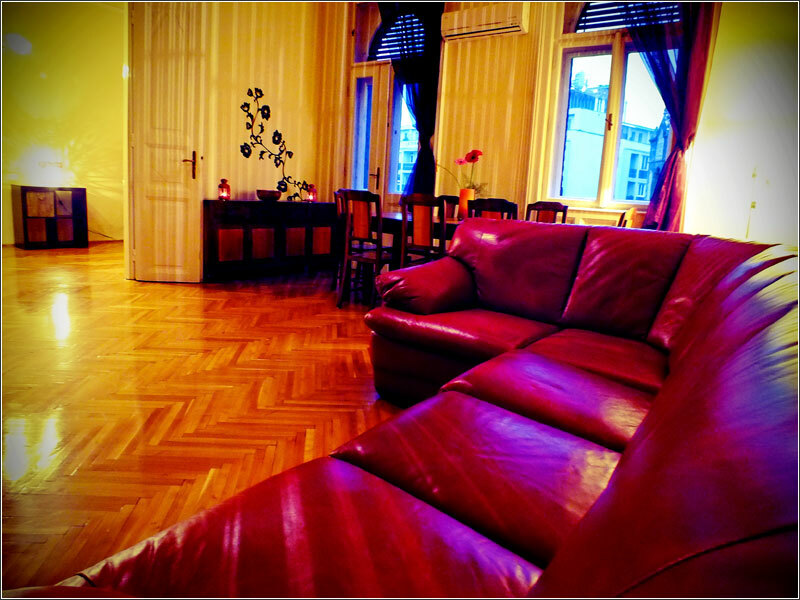 In the apartment there is a free Wi-Fi connection, TV and DVD.